The Women’s Fellowship is a vital part of the Congregational Church. 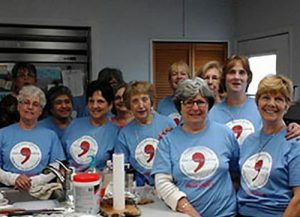 It is a primary fundraiser, as well as offer women a group for fellowship. In addition, they provide fellowship opportunities for the entire church. The group meets on the first Tuesday of each month at 1:00 pm in Fellowship Hall. All women are welcome to join.